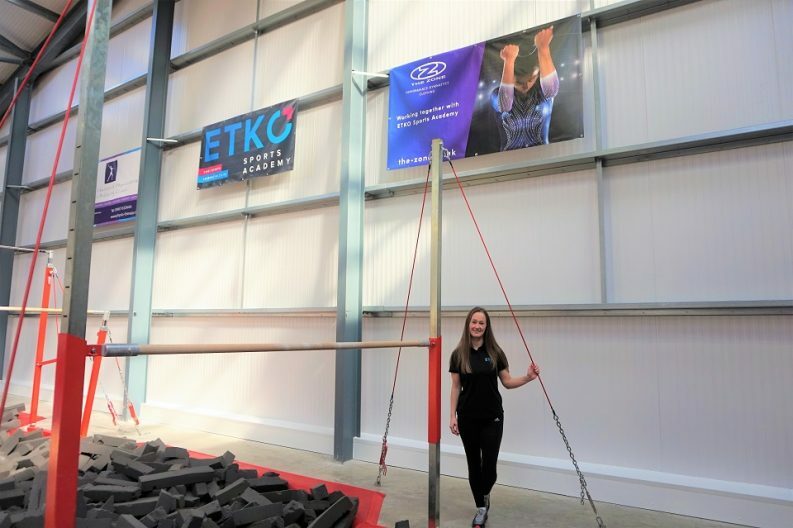 Oldmeldrum-based ETKO Sports Academy has secured a new sponsorship agreement with performance gymnastics wear specialist, The Zone. As part of the arrangement, ETKO Sports Academy’s membership will benefit from increased access to The Zone’s extensive range of gymnastics leotards and accessories. Products include performance and competition leotards, which are manufactured from The Zone’s two UK factory sites and distributed worldwide. The partnership will be promoted via signage and media screens within ETKO Sports Academy’s national-standard gymnastics centre. Online activity will also take place throughout the duration of the sponsorship agreement, which has been struck for an initial one-year period with an option to renew. ETKO Sports Academy welcomes over 1,000 members through its doors each week. The organisation, which aims to foster a lifelong love of fitness in others, provides classes and coached sessions for all abilities and ages. The youngest – ETKO Gym Babies – attend from three months upwards, while the company’s Exercise for All classes are popular with retirees. Gymnastics remains one of ETKO Sports Academy’s most popular disciplines, with mainstream sessions for various age groups, as well as competitive programmes. The Zone is part of the Roch Valley Group, a recognised UK dancewear brand. As part of their closer working arrangements, ETKO Sports Academy will also become an authorised reseller of Roch Valley dancewear. ETKO Sports Academy was founded in 2008 by former international gymnast Laura Etko and her husband Viorel (Vio), a current Veteran World Champion in wrestling and a 2014 Commonwealth Games bronze medallist. The company, which employs 30 people, is committed to helping people achieve their sporting potential and encouraging long-term participation in sport.